Perfect for a quick breakfast, lunch, and snack! Prepare Shawnee Mills Cornbread Mix according to package directions, making two pans of cornbread. Let cool, then in a large bowl, stir and tear the cornbread into crumbs. In a large sauté pan, cook sausage, onion, and celery over medium heat, stirring to break up sausage. Cook until sausage is browned, then drain. Combine cornbread crumbs, white bread crumbs, sausage mixture, sage, pepper, and eggs. Stir to combine. Add chicken broth, stirring until the mixture is uniformly wet but not soupy. Take mounds of dressing, either using your hands or a large ice cream scoop, making balls to fit into a greased standard 12-cup muffin pan. Each scoop should generously fit into the muffin cups. Bake at 350 degrees for 30 minutes. Remove from oven, and let sit in the pan for 10 minutes. 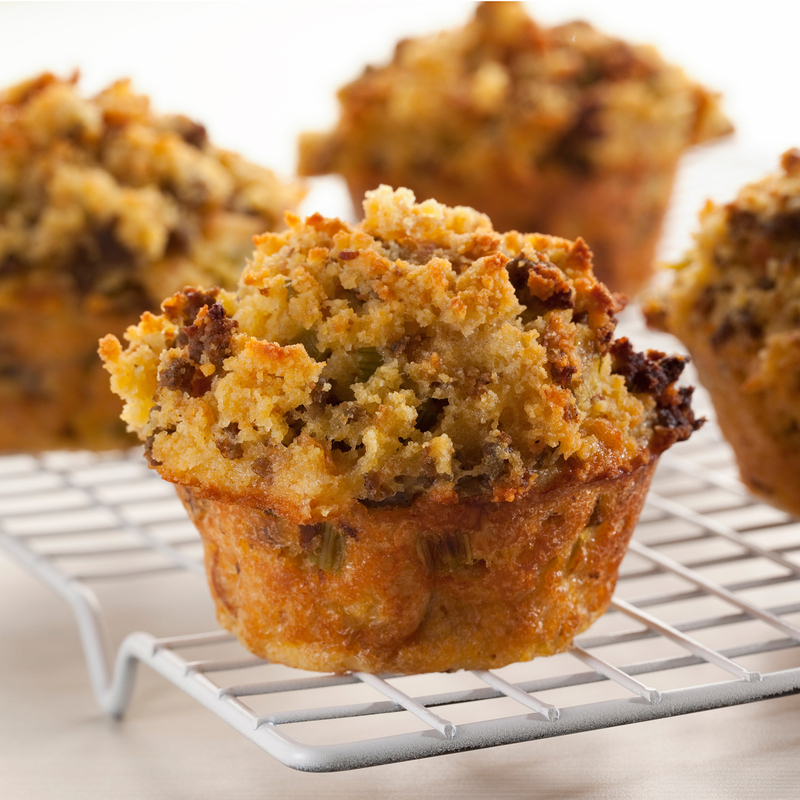 Remove each muffin from pan, using a spoon or the tip of a knife to gently remove each. Let them cool on a cooling rack.